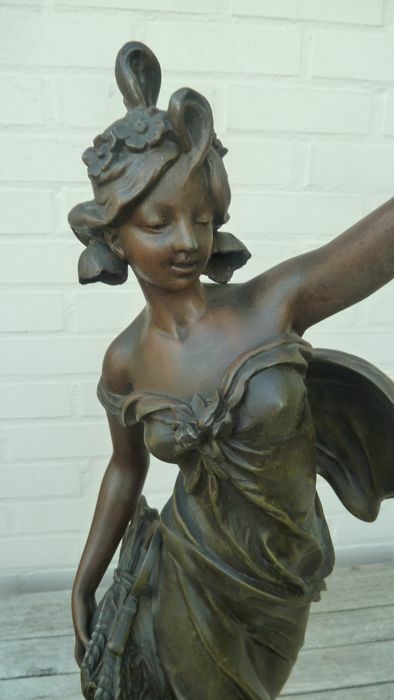 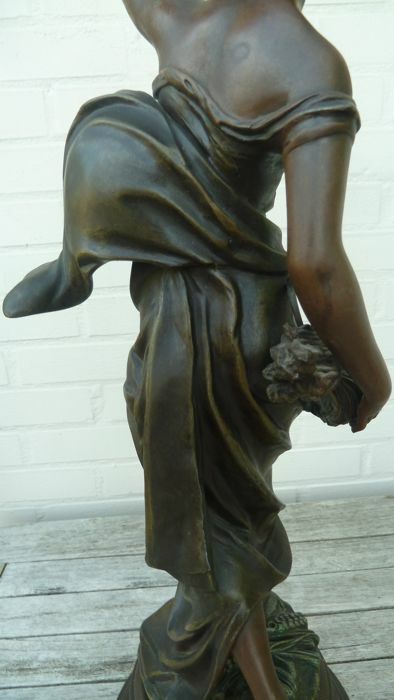 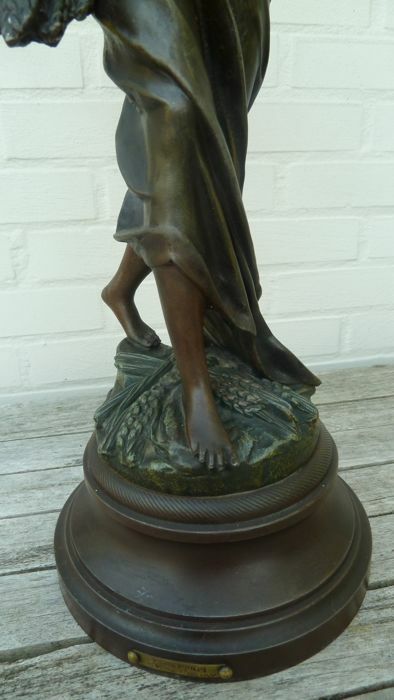 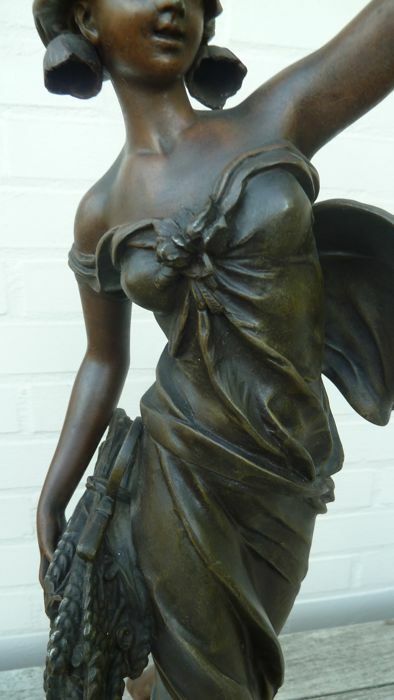 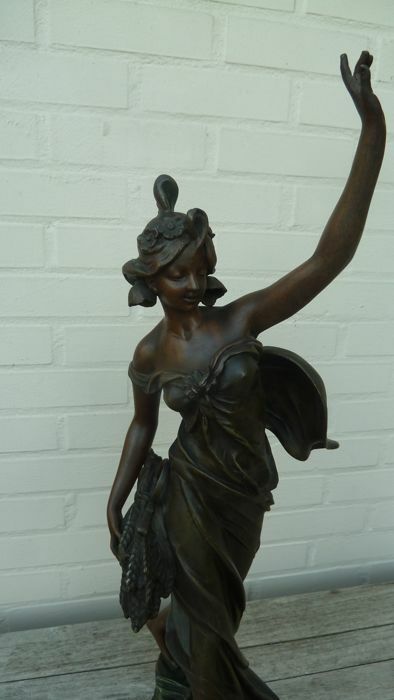 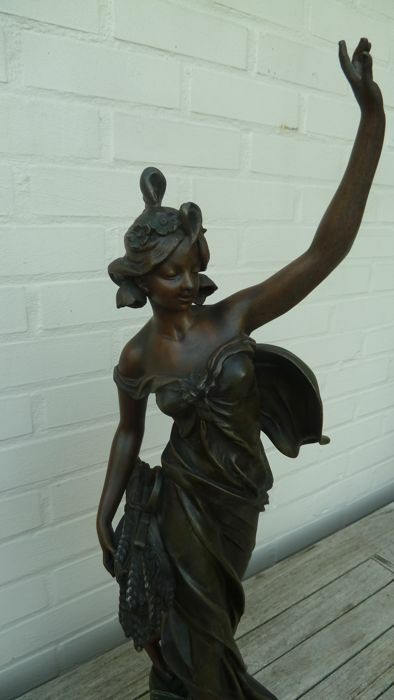 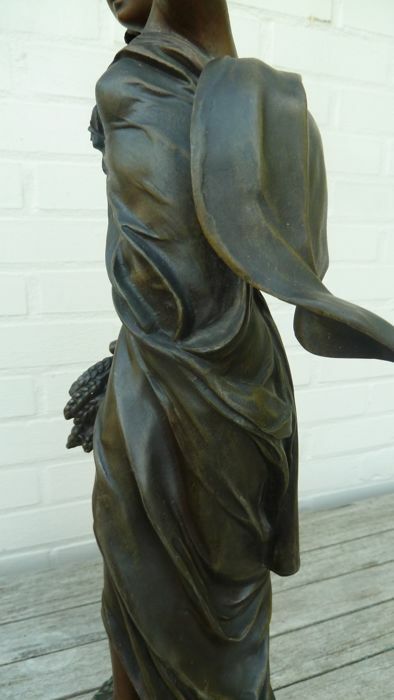 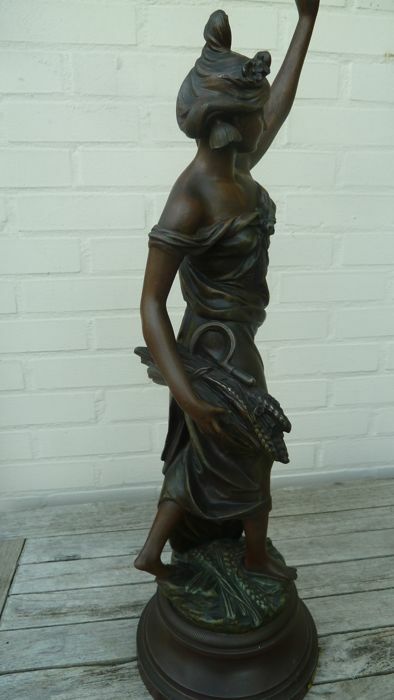 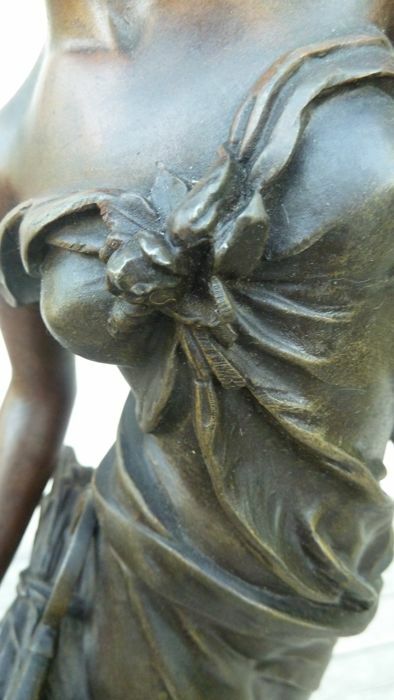 Exquisite zamak sculpture by the French artist Emile Bruchon (act. 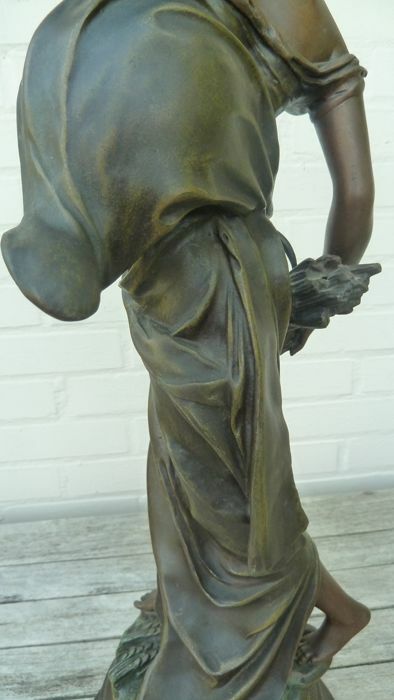 1880-1910). 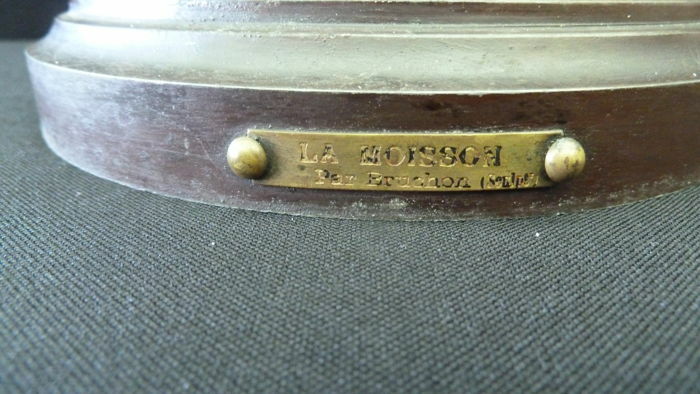 This sculpture is titled "La Moisson" on the metal name plaque. 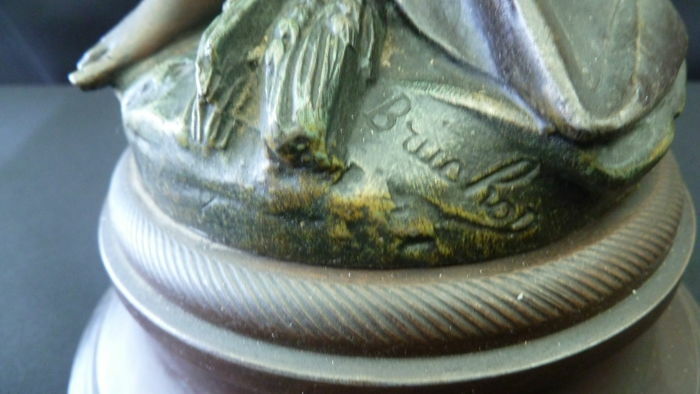 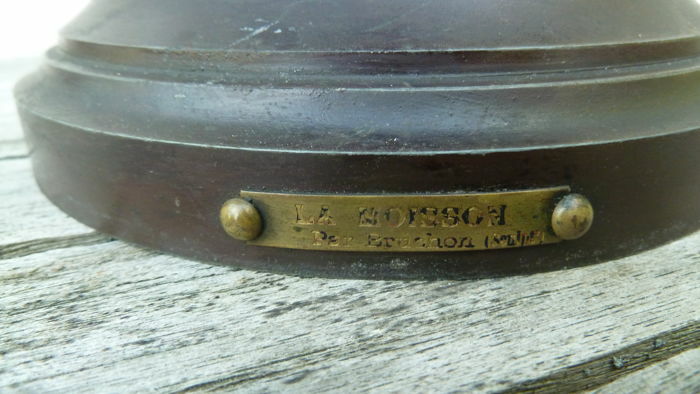 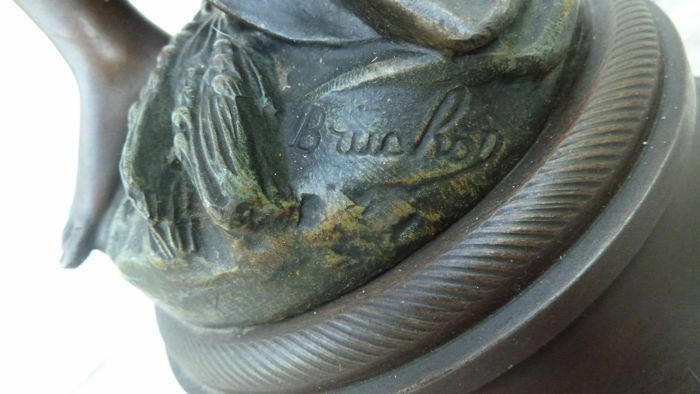 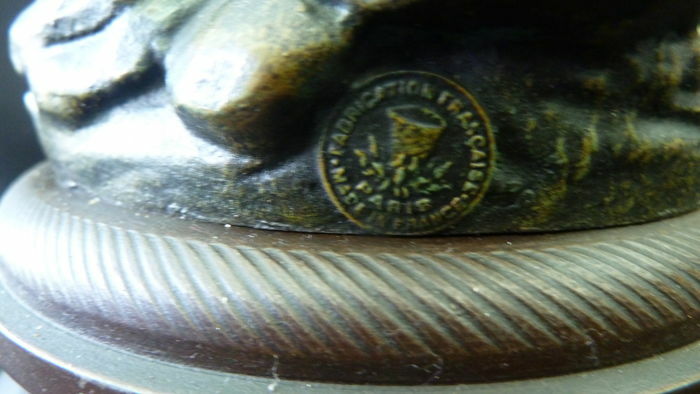 It is signed 'Bruchon' on the basis of the sculpture at the back with stamp "Fabrication Francaise Paris", it comes with a wooden base. 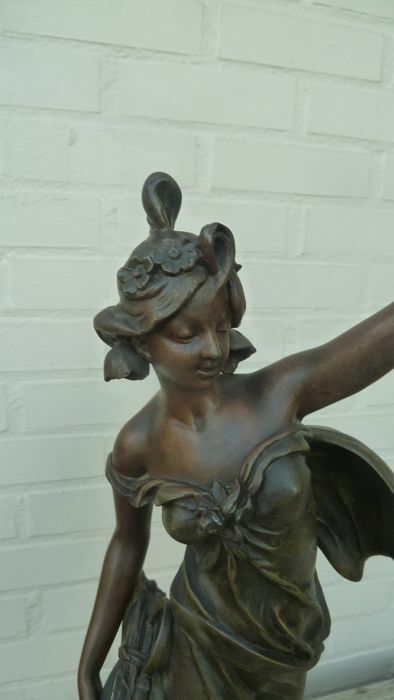 Total height is 63 cm, diameter base 19 cm, will be carefully packed and sent by registered mail. 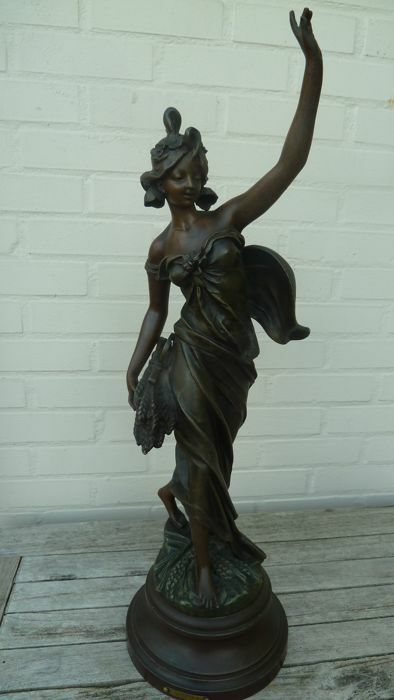 You can pick up this lot from the seller: Wuustwezel (Vlaams Gewest), Belgium.